Tristan Cordray got this 194 lb boar hog! 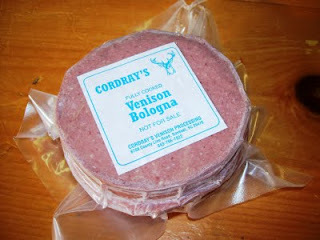 What can you do with wild boar meat? Well, if you really know what you are doing, they could do this! Chris from Moneyhun's Oink Catering knows how to cook wildgame right! "Claudia it was so nice to meet you today. Thank you for your interest in my cooking. This was our Sunday supper. New Mexican spice rubbed wild boar loin with a bourbon ancho pepper sauce, roasted sweet potatoes, local corn, cilantro oil, creme fraise, smoked red pepper sauce, cilantro-apple-red onion salad. You all processed this boar for our friend Reid South about 2 weeks ago. I am so lucky he shared with us. Thanks again. I can't wait to pick up the venison. " Jimmy Barron got a double with an 8 point and a doe. Mark Bales got a beauty of a buck weighing 165 lbs. Redneck counting 13 points, probably 11! Austin Stone, Bethea Long and Chad Hunter brought in a 178 lb. boar. Rocky Bowers got an 8 point weighing 162 lbs. Leanne Crane got her first buck! Barry Goodwin joined the Cordray's First Deer Hall of Fame! Kacey Patrick brought in this big buck! 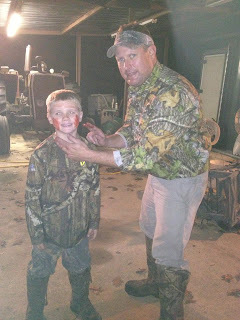 The Staples family celebrated another new hunter in their family! Mike McShane's family had fun getting this big gator! 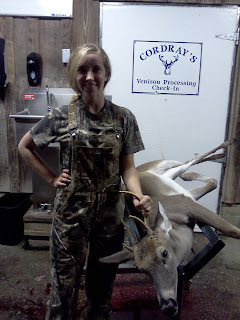 Angela Copleston got her first deer! Britton, Briar, Banks, and Jack Ellenberg brought in a 9 point! Bob Long got a 9 point weighing 160 lbs. Molly Tanner's 6 point weighed 116 lbs. Matt Lovelace brought in a 10 point weighing 161 lbs. Trey Baker got his first deer! 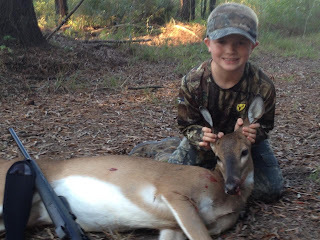 Tim Jackson took an 8 point for his first deer! Nathanael Yoho brought in his first deer to join the Cordray's First Deer Hall of Fame! Kara Slick got a nice one! Maelee Dinkins had an 8 point buck. Josh Winkles got a 9 point buck weighing 152 lbs. Tammy Alessandro joined the Cordray's First Deer Hall of Fame! Brandon Shaw brought in a 165 lb. 11 point buck!